My Pinterest feed is full of these pictures of graduated flower pots stacked up, sometimes crookedly, sometimes straight. At first, I was appalled by the amount of soil that must have to go into them, then I realized that they must have fillers. 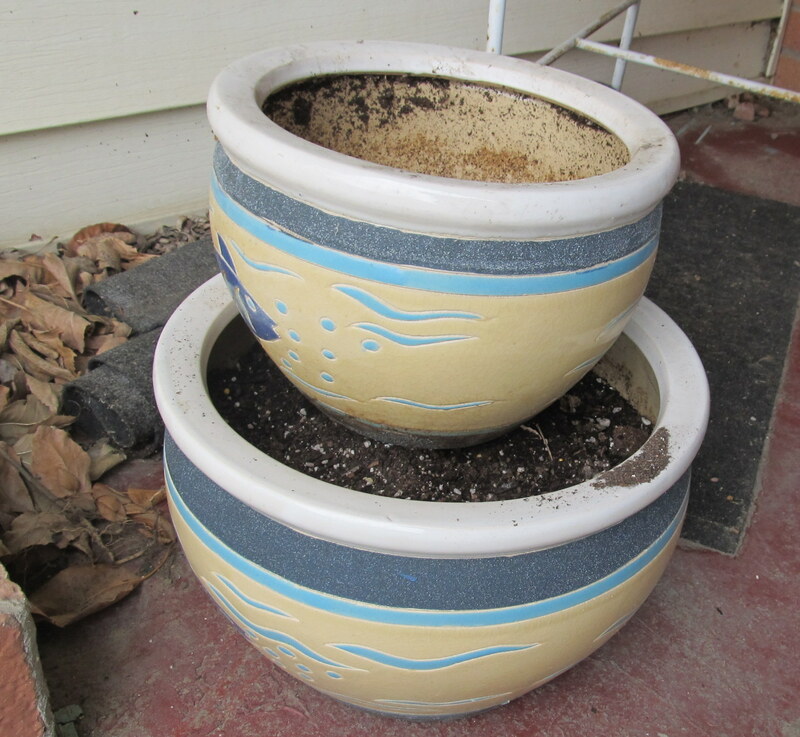 Sure enough, an upside down pot inside each larger pot both takes up space and supports the pot above it. 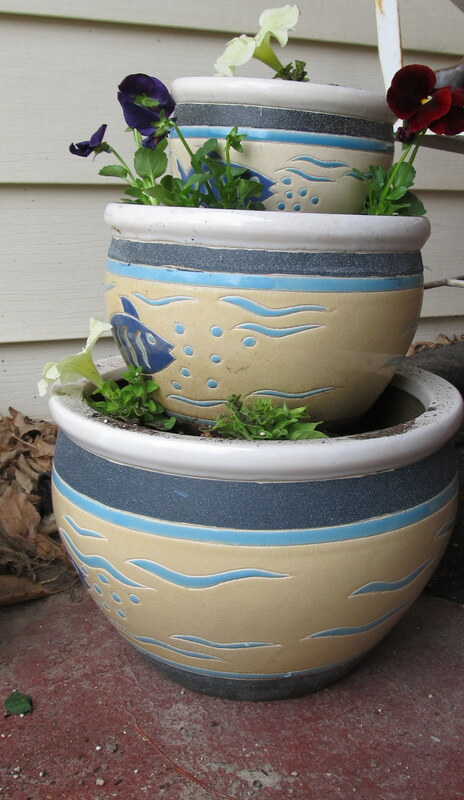 DH got me some adorable fish pots a few years ago, the largest about 12 inches in diameter, the smallest about 6. I figured they’d be perfect for pansies and petunias on the front porch. 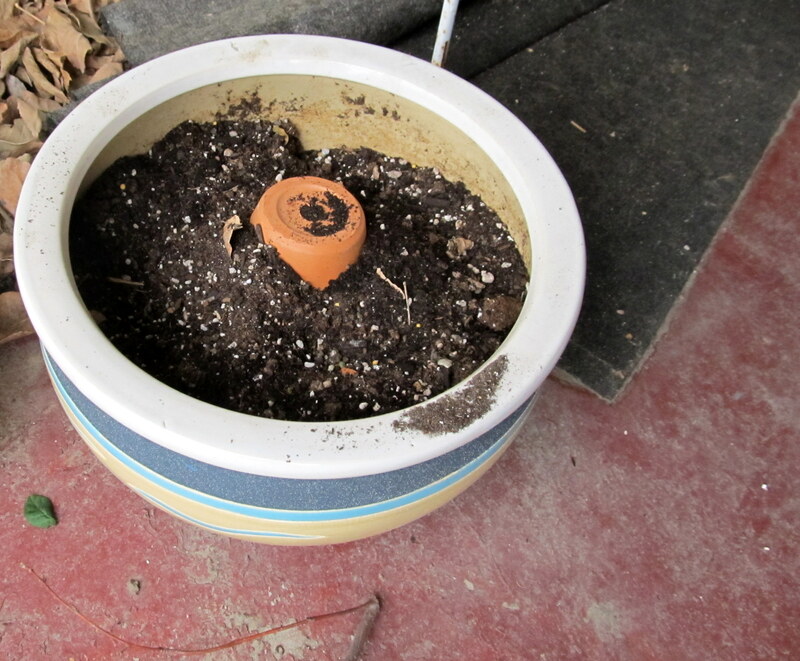 An upside-down 8 inch pot fills up space and still allows drainage. I’ve seen pots placed lopsided, and centered, but I decided to stack them off center. Pansies and petunias should work well on my shady front porch. In a sunnier spot, I’d put in marigolds and dahlias. I’m a day late on You Can Grow That day- started by garden writer C.L. Fornari- where the challenge every month is to write about what is growable.